As there are a lot of free web-based applications available on the internet which makes it easy to convert a video from one format to any other video file format to which you want to convert your video. If you search in google you will find tons of tools which will be used in order to convert your video from one format to other format online but some of them may not work properly or some will ask you to register yourself before you start converting your videos with their tool. So keeping that in mind I’m here once again with a free online tool which gives you a quick response, which converts your video quickly online, you don’t need to register yourself with it to convert your video using this free tool. We recently shared a list of free online video converters in which there were some useful converters and also You can try for some good video sharing sites list 2016 also for making your videos viral.but here we're with another tool which is with pretty much useful advanced features. Here are some other free online tools i.e Online photo editing tools, Online free virus scanners tools and free online phone calls tools, which are quite useful. Here may be a question that why not we use desktop applications for converting a video from one format to other? aren’t these work? Yes these works very fine too, but here are some factors which lead us to use some web-based applications to do so, In one case if you’ve one (or few) videos you want to convert it from one format to other then why you should look for a desktop tool, you can use your internet connection to convert your video which don’t need any installation and downloading process. i.e what I want to say “If you don’t need a converter on daily basis but for sometimes”. Also the desktop applications aren’t totally free, if they are, then it will be in trail version, they also need to download and install on your machine, which takes a lot of space on your hard desk. So in these cases you should look for an internet freebie which allows you to convert your video within your web browser. Now if you decided to use an online tool which performs your work and looking for a tool which gives you correct and fast results with some advanced features, then here I will suggest you to use “Convert Video Online”. As there are tons of tools available on the internet if you look on the World Wide Web, but which one is good and which is not? Making difference and picking up the best among them is a hard task I think, but I’m sure that the above one do their job very well. I hope you will enjoy this one for online video conversion. 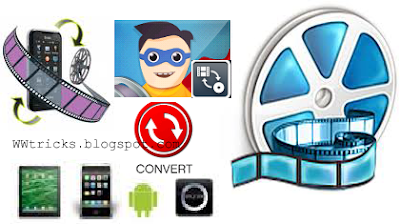 2) It allow you not only to convert your video from your computer but also it allow you to convert a video when it is still on the web, what I means that you can enter a URL of a video to convert and download the video in file format in which you’re interested, it may be a youtube, dailymotion or any other video sharing website’s video link. Also if you’ve a video in your dropbox, google drive or Skydrive profile, you can directly convert it from here using this tool. 3) Let you want to convert a video from one format to other for your mobile device, and you want to convert the video in an output file format which is compatible with your mobile device, if so then don’t worry there are options available using which you will be able to convert a video for a specific device, let you’ve a Samsung device, so there is an option to select “Samsung”, then you can also select your exact model of Samsung under the resolution drop-down arrow. So In that case you will no doubt about the resolution & compatibility of the converted video, similarly there are more options i.e Nokia, Sony, blackberry, apple etc. So why you should use any other desktop application for video conversion, if an advanced featured, best and free video converter is in your hand? Converting a video from one format to other format with this tool is very easy, What you've to do is to open their WEBSITE and click on open file button "To open the video from computer" or click URL to convert from a url. 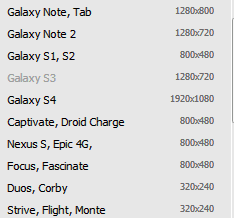 you can also select dropbox, google drive or skydrive if you've a video in these profiles. 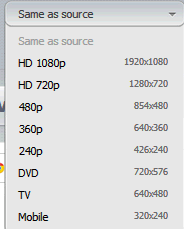 Secondly, choose and output format Video or Audio, Select a resolution or leave it as default. Click on convert button to start converting your video, now wait a moment and let this convert your video and give you a download link. So friends above we discussed about an internet freebie for converting a video from one format to any other file format which comes with some unique features, we discussed all of that features. I hope that this will help you when you want to convert your video. If you liked this post then make sure to subscribe us via email so you will be informed whenever we share another freebie. We will be thankful to you if you drop a Comment on our blog. Ask something regarding the topic or say thanks if it helped you! I am glad to see you here abhishek! you're right. Free online video converters help those who don't need it daily.